A novelty at Sainte Marie-aux-Mines 2017. 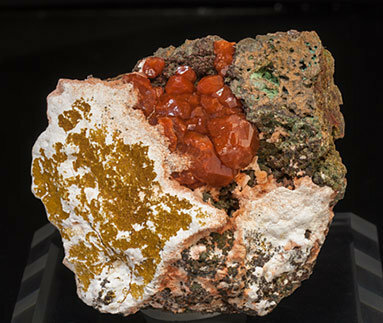 A group, on a rocky matrix, of bright trapezohedral crystals that have very well defined faces and edges. The color, orange-red, is selectively distributed over some faces. A novelty at Sainte Marie-aux-Mines 2017. 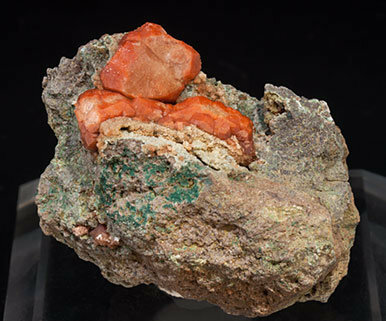 A group, on a rocky matrix, of bright trapezohedral crystals that have very well defined faces and edges and a very intense and uniform red color. A novelty at Sainte Marie-aux-Mines 2017. 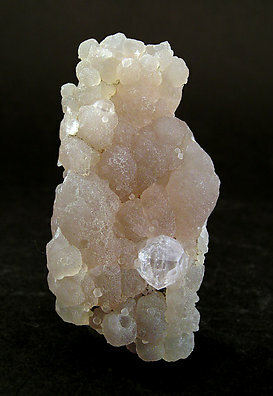 A single trapezohedral crystal on a rocky matrix that is translucent, very bright and has very well defined faces and edges, with polycrystalline growths. The color, orange-red, is selectively distributed over some of it’s faces. A novelty at Sainte Marie-aux-Mines 2017. 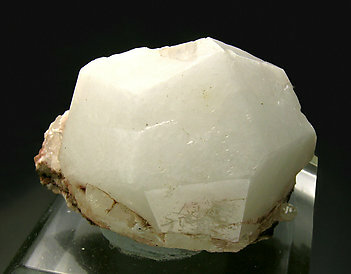 A single trapezohedral crystal on a rocky matrix that is translucent, very bright and has very well defined faces and edges. The color, orange-red, is selectively distributed over some of it’s faces. The crystal is a snowy white trapezohedron implanted on matrix. The crystal is not complete because the back side is a contact, but its faces are perfectly defined. Not so common locality for this Analcime. 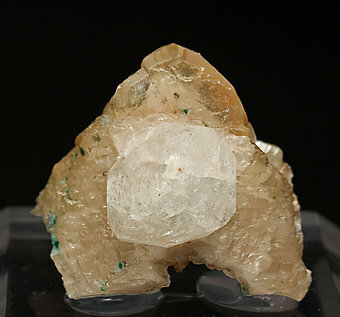 The crystals from this not so well known locality are on matrix, are trapezohedral and are white with yellowish shades in some areas of the piece. On a globular formation of little cubic crystals of Fluorite an Analcime crystal enhances, absolutely transparent, bright and sharp. A little jewel. Esthetic growth of clean and bright very well defined crystals, one of them clearly dominant. 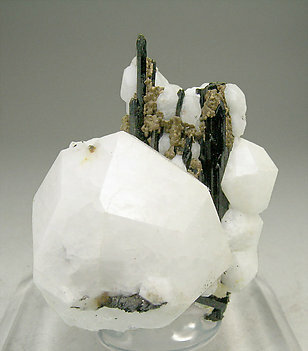 The black acicular crystals are Aegirine. 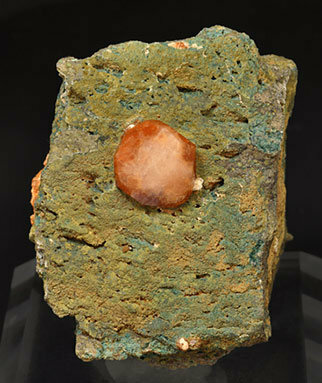 Translucent trapezohedral crystal of Analcime, with very well defined faces and edges and implanted on a polycrystalline growth of Calcite that is a perimorph of an old crystal of Calcite, now disappeared, and with small inclusions of Malachite. The locality is not so well known for the species. 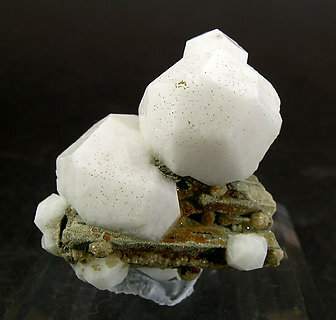 White trapezohedral crystals. 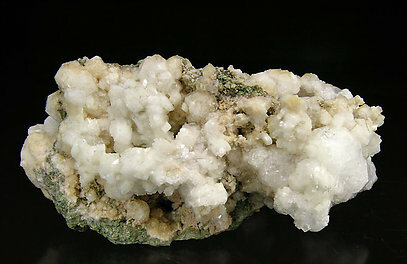 They are bright, have very well defined faces and edges and are partially coated by small crystals of Fluorapophyllite-(K) The sample is of excellent quality for the locality, a classic for American zeolites. 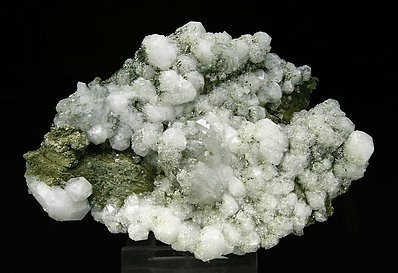 Radial group of white sharp Prehnite crystals with fibrous aggregates of Actinolite and Ferro-actinolite intergrowths and partially coated by snowy white trapezohedral Analcime crystals with very well defined faces and edges. 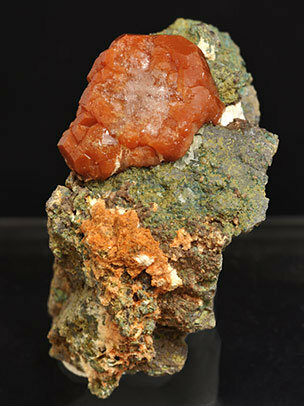 The Prehnite has been analyzed and we will send a copy of the analysis to the buyer. 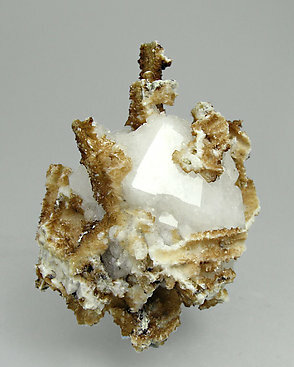 Analcime crystal with very sharp faces and edges, good luster and snowy white color on matrix and partially covered by Siderite pseudomorphs after Epididymite. 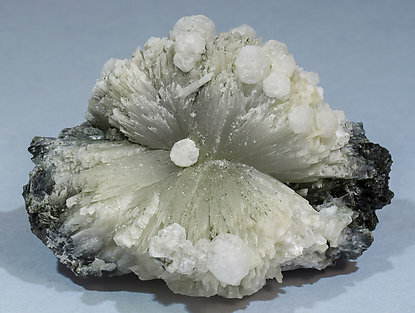 As white as a snow ball, with perfect form, the crystals of Analcime grew on earlier ones of Natrolite that have been pseudomorphosed by Siderite to give it delicate architecture and to make it a neat specimen.